We are manufacturer and exporter of Outboard Motor Gaskets 11141-96344. We are offering Tapped Gasket to our clients. Exporter of three wheeler gasket from India. We Provide quality Products at a very competitive prices and as per your requirements. We offer high quality of Engine Gaskets/Packing Kits. Gaskets act as seals which fill the space between two components and prevent leakage between the two. We ensure that these are high in quality and cost effective in pricing thus witnessing large demand in the industry. Keeping in mind, variegated demands of our valuable customers, we are providing Full Set Gasket. We offer an extensive range of Engine Gasket Set, which are manufactured using sophisticated technology to impart them distinguished features. 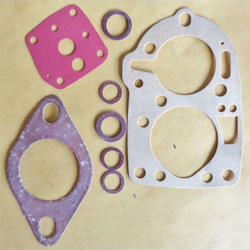 We use high quality materials for imparting these engine gasket units long lasting features. In order to provide the clients maximum satisfaction, we offer these engine gasket units in multiple dimensions as per their demands. For our reputed clients, we offer a wide array of Rubber Gaskets. These gaskets are developed in accurate sizes and shapes to meet the varied demands of the engineering and automobile industries. Our gaskets are also available in the form of molded Rubber Gaskets that are used for oil, fluids and extreme temperature resistance. Custom made gaskets can also be availed from us. In case of overhauling full engine, all the gaskets components are required which comes in full set gasket unit (engine overhauling gasket unit). 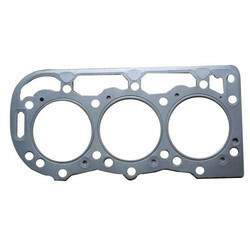 We manufacture qualitative head gaskets, which are used in automotive industry. These can provide leak-free seal and it maintains that seal for the life of the engine. Avail from us a wide assortment of Rubber Gaskets, which is widely applied in varied industries. Available as per the specific requirements of our clients, we offer them at industry leading prices to our clients. Available in varied sizes, these gaskets are resistant to oil, chemicals, water and extreme weather conditions. Moreover, these can be designed and manufactured to adhere the customer's specifications.